Here's how to make an I-Spy version of the Disappearing Nine-Patch. It's SO EASY, but it looks like you spent FOREVER on it! I am assuming throughout this tutorial that you are familiar with the Disappearing Nine-Patch pattern -- I have previously posted specific step-by-step instructions on that quilt pattern, which you can find here. Here is the KEY to setting up your blocks -- the lower right corner's I-Spy always needs to face the same direction no matter which way you turn the block. I made my lower right corner's I-Spy always right side up. STEP ONE: Sew together the center rows on all your blocks. 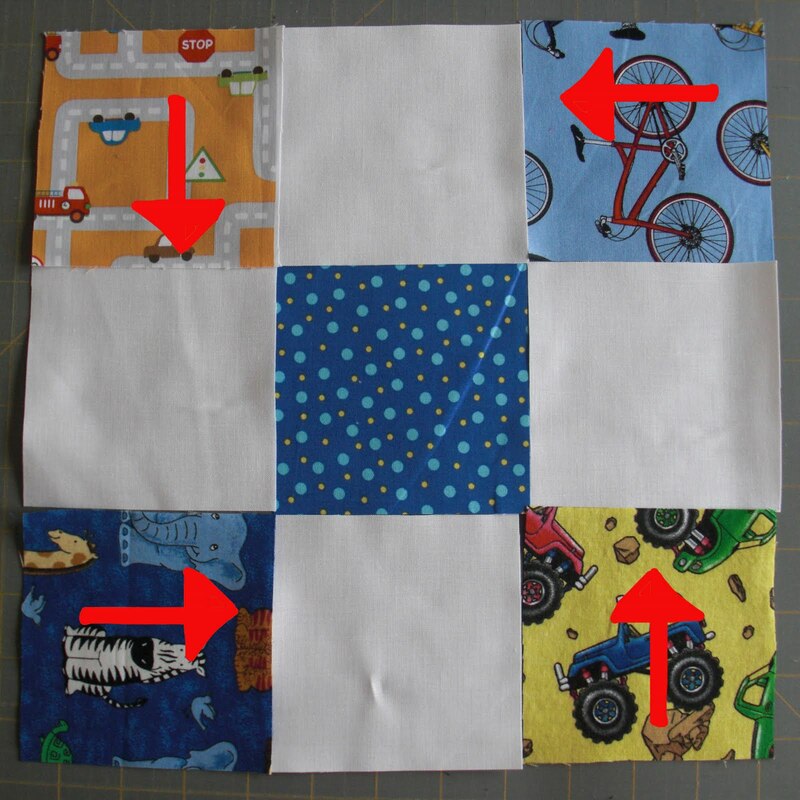 Start by sewing a white square to every blue square. Then sew another white square to the opposite side of every blue square -- creating 22 rows of white-blue-white. STEP TWO: Place your stack of I-Spy squares right side up (with the bottom edge of the I-Spies closest to you) to the right of your stack of white squares. Fold one I-Spy over one white square like shutting a book, and sew the right side seam with a 1/4" seam allowance. Repeat until you run out of white squares. STEP THREE: Open all your sewn squares and stack them with the I-Spy square on the left. Place your I-Spy squares to the right, with the top edge of the I-Spies lined up to the edge of the white square, as shown in the photo. STEP FOUR: Take the top I-Spy square from the right hand pile and fold it like closing a book over the left hand pile. Sew the right side seam with a 1/4" seam allowance. STEP FIVE: Press your rows! Press the seam allowances toward the darker fabrics (toward your setting square fabrics and toward your I-Spies). STEP SIX: Set up your rows as shown. CAREFUL -- It DOES matter which way those rows are set up! Close one I-Spy row over one setting square row like shutting a book. Sew right seam with 1/4" seam allowance, matching seams on the rows. STEP SEVEN: Set up your rows as shown -- again, be CAREFUL! It matters which way those rows face! Close right side I-Spy row over the left side like shutting a book. Sew right seam with 1/4" seam allowance, matching seams on the rows. STEP NINE: Cut your nine-patches into quarters as shown, measuring and cutting carefully. Your sashing and setting squares are DONE -- with the exception of the bottom row of your quilt and the right side vertical row of your quilt -- which you will piece together using your white rectangles and 2" squares. You're ready to lay out your squares and sew them together!! I sort of figured it out while I waiting for this post! I can't wait to start. I think I must have close to 88 different prints by now to make this! You are a genius! It is totally perfect and easy too. Don't tell me you whipped up this quilt at the same time as you were making the gray and yellow one for the tutorial?!? It totally wouldn't surprise me :) And I'd just like to get through the laundry most days! Well Care--you are an amazing woman. I was wondering how it was a disappearing nine patch. I might just have to give it a try. Of course I have to finish my other one first! OH I LOVE IT!!! 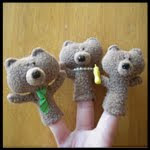 I am SOOO going to make this!! I am going to add it to my June list of quilts to make though since I have so many!! But I LOVE IT!!! And I think from your last swap and with some fabric I bought recently I think I can make 3 quilts!! One for each of my boys!! !Thanks for showing and sharing your wonderful talents!! Amazing! Love it Love it Love it! Great Job! Great tutorial! 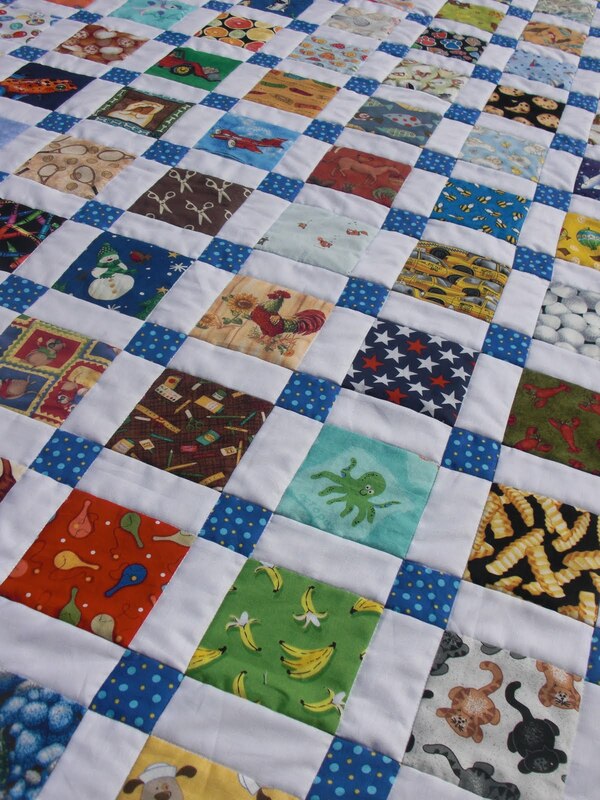 I love this style of I Spy quilt. I have a hard time lining up my sashing normally so this is a great way to do it. Well, now that you have my addicted to quilting I'll have to make a quilt like this next. Are you planning on having another swap anytime soon? Wow, this is gorgeous! Thanks so much for the details, I'll be linking. I've been wanting to do any I-Spy quilt for some time for my younger son. This tutorial definitely makes it tons easier than I originally thought! 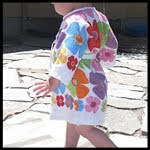 I can't wait to start quilting at the end of the year - sooner if I get my clothing projects finished quickly! This quilt is really cute. how, that has to be the easiest sashed quilt pattern! Gotta try this! What a fantastic design - thanks for a great tutorial - I need to get some more eye spy charms and get cracking on this wonderful quilt! This is an amazing tutorial. Thank you for a simple way to make this quilt. This is BRILLIANT! I am about to make a baby quilt for a friend & she liked a similar pattern, but I was intimidated by all of the piecework on the sashing. This solves that problem! 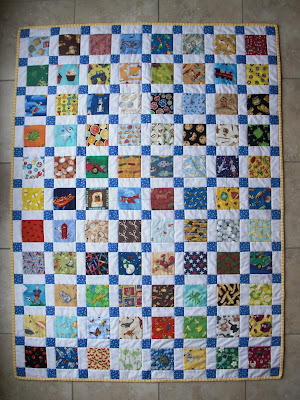 this is what i'm going to make with my squares from the swap! i can't wait!!! Thanks for the wonderful tutorial! I just made my daughter a quilt using it. Thank you so much for your amazing tutorial. I have been looking for this kids of pattern to make quilts for my kids coordinating bunk beds and I never would have fiqured out the quartering and I would have made it so much more difficult. Can't wait to start now. When you quilted, you quilted the interior of the squares? By hand? I used your tutorial to make 2 quilts for my kids...thank you so much! It was fun to gather all the I-Spy squares and see them come together. I've now cut my squares, laid them out and am in the process of sewing my rows together. I have a couple of "novice quilter" questions in regard to seams. As I was learning to sew, I was always told to press the seams open. I don't know if that's old school, or if it's just that I've never quilted before but pressing seems to one side is new for me. As I sew my pieces together I see how nicely they go together. A couple of times I've had to finger press a seam in the opposite direction that I had pressed it. Have you had that happen with this pattern or did I do something wrong? I've also had a couple of squares that I couldn't press the other way because they were already sewn down in one direction, so both seams had to go to the same side. Should I be worried about that looking bulky? And once I sew my rows together does it matter which direction those seams are pressed? I know...lots of questions. :-/ Thanks for any help you can give me. I just realized that I've come back to this tutorial several times and never left a comment. I've made 2 "boy" I-Spys..one with red sashing and denim setting and the other woth brown sashing and blue dot setting squares. Both turned out great! 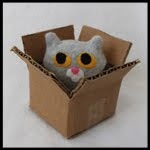 I came back becasue now I'm going to make a "girl" version with pink sashing and pink/green floral setting squares. Can't wait to finish it! I love love love this tutorial! Thank you so much! I had a vision of how I wanted my eye spy to look I just had no idea how to put it together but thanks to your tutorial I'll be able to put it together in no time! Thank you again. Oh my! I am giddy with excitement. Thank you for this. I have wanted to try the disappearing 9 patch forever and have tons of i spy fabrics cut already. Can't wait to try it! I LOVE this pattern!! I can't believe how SIMPLE yet AMAZING it turns out to be! IT's now my go to pattern and I've used it several times. I have a few diff versions on my blog, THANK YOU THANK YOU for this!! I finally completed and gifted my versions, and noticed like Kama that I needed extra rectangle pieces. But I love the finished look. Thanks again for all the great inspiration you share with us! Thanks for this great tutorial!! I finally started an i-spy quilt for my son today. I got all the squares cut and then somehow I finished sewing the top tonight. I was so excited to get it together. i love how yours doesn't have a border but I am thinking about doing a border on mine... still deciding :) anyway, thanks for the great inspiration!! 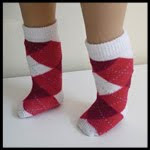 What a great and easy pattern. Check out my creation! Here's my almost finished version! This is one of the best tutorials I've seen. I made this quilt and will post pics as soon as I get a chance. Thank you very, very much for sharing! I am using a mixture of cotton and flannel for my eye spy squares. What material do you use for the sashing, setting, backing and binding? I made an I Spy quilt for my granddaughter, and it was a lot of fun. I didn't worry about which way my I Spy fabrics faced - just put them every which way, and then I didn't have to worry about "which way is up". That way she can see patches no matter which way she's looking at the quilt. I also set mine differently than yours. I love your quilt. 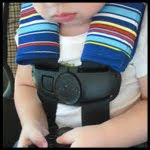 I featured it today on the At Play Blog! 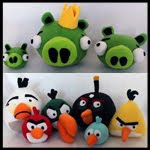 If you have any other free tutorials you would like added to our site visit www.craftsatplay.com to submit them. I want to make this for my daughter for graduation for when she goes to an apartment so it needs to be queen size. What do I need for material and how many blocks, etc.??? I am excited to try this pattern. Thank you! 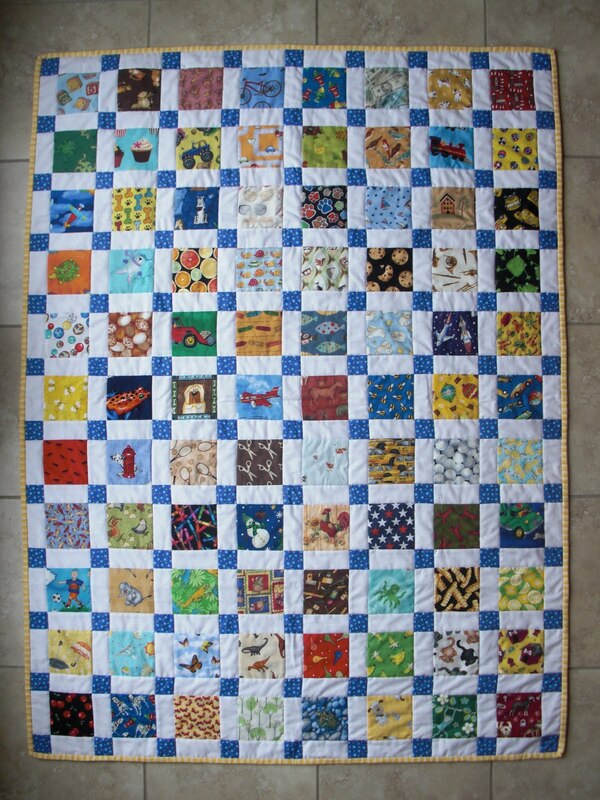 I have just made this quilt for my grandson. Directions were great and easy to follow. I also neede 2 more rectangle pieces. Planning to put a 4" border in the setting fabric on it. Thank you for a great tutorial. Thank you for this wonderful pattern. I just finished the quilt top and it is gorgeous! I have one tip that made it easier to finish the rows at the bottom and on the right. Rather than cutting two inch squares to attach to rectangles for the sashing and setting squares, I made extra center rows (as described in step 1) and cut them in half vertically. After sewing them together end-to-end, I attached to the bottom and the right side. Thanks again for a wonderfully quick and easy quilt. Thank you for this wonderful pattern. I just finished the quilt top and it is gorgeous! I have one tip that made it easier to finish the rows at the bottom and on the right. Rather than cutting two inch squares to attach to rectangles for the sashing and setting squares, I made extra center rows (as described in step 1) and cut them in half vertically and then again horizontally. After sewing them together end-to-end, I attached to the bottom and the right side. I just finished a quilt top using your tutorial with 5 inch charms. Thanks for taking the guess work out of positioning the directional prints. The top looks great and it was so fast, I'm making 2 more. your workmanship is stunning and the tutorial is awesome. I would like to make four for my grandchildren of course all slightly different. if there any chance you might consider hosting a block material swap for sometime soon? Thanks for sharing your instructions. Cant wait to start one. I would be keen on a swap too. Would you do a swap with New Zealand? I just made this adorable quilt last week. I'm new too quilting and this took 8 hours to make. Easy, fast amd everyone loves it. I have one more to make and my sister is making two, also. The directions are perfect and exact. Thank you so much. I made this quilt for my granddaughter for Christmas except I used 5 inch squares instead of 4 inch. It turned out beautifully and I thank you for the details about how to turn the "spy" squares so that it was easy to assemble! What a fabulous time-saver! THANK YOU! I'd post a picture for you but I don't know how. I had printed your instructions several months ago and am finally getting around to making an I Spy quilt for my 1-year-old grandson. He has a 4-year-old sister, so she will help him. Oh, such fun! Your instructions are terrific! I was confused a couple of times, but then I referred back to the photos and it cleared up any confusion. Thanks so much! Great job! This quilt is soooo great a good way to use left over fabric. Thank you it looks time consuming, but not so. Can this quilt be made quilt as you go? I just finished cutting this quilt out. Not an I-spy, I'm using 8 prints to make a baby quilt. I love these directions. they are the easiest with the photos. This is a great tutorial. I cant wait to sew it all together. I have a hint for making this faster and more precise. Instead of making the middle row White 4"sq, Blue 4" square, white 4" square, make it white 2x4 rectangle blue 2x4 rectangle, white 4x2 rectange and make twice as many. While it is not longer "technically" a nine patch, it removes one cut from each nine patch. You can strip sew 4" white, 4" blue, 4" white, and cut into two inches, and everything will be more precise. I had trouble with cutting the nine patch in half accurately, as when the blue is set it is 3.5 inches, and you are cutting at 1.75, by doing the middle as I have described, it eliminates the first cut.